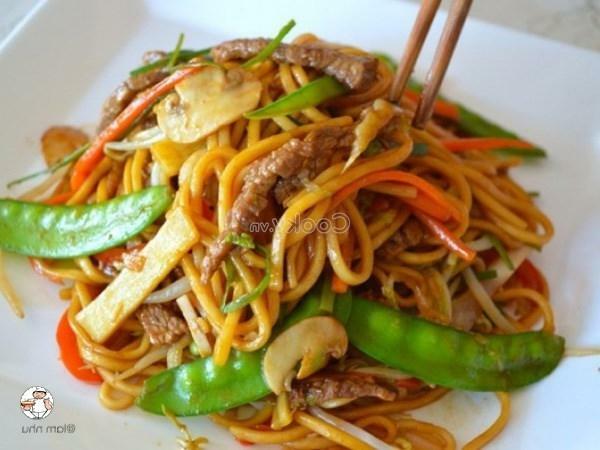 How to make noodles stir-fried with beef is a tasty dish for breakfast. 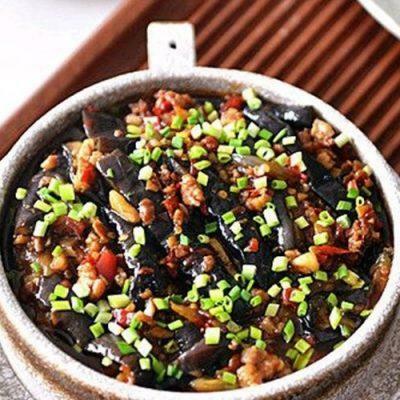 Besides, the dish is so easy to cook, which is very convenient on busy days. 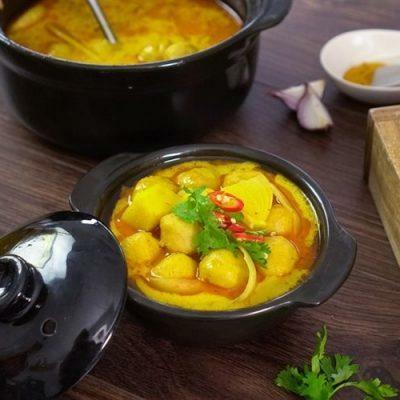 Moreover, its nutrients and energy are certainly appropriate for the whole morning. 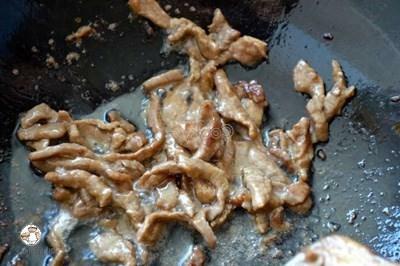 Wash beef and cut it into thin pieces. 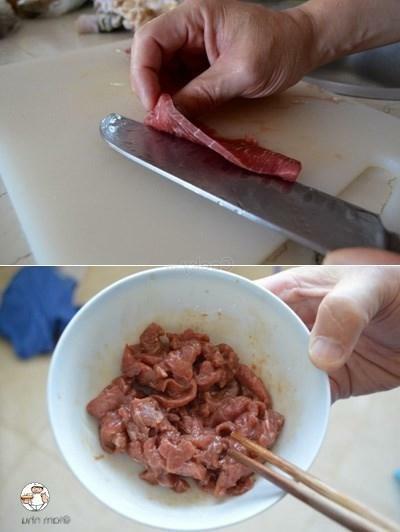 Next, marinate them with cornstarch, soy sauce, white wine, and sesame oil in 5 minutes. 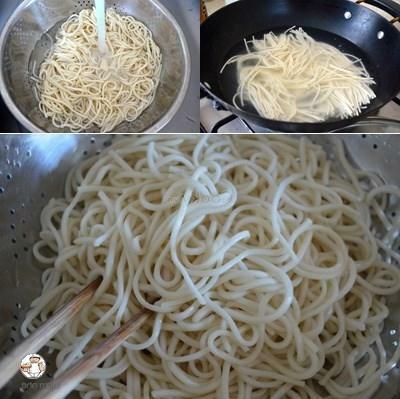 Soak noodles in hot water in 3 minutes. Then take them out and soak in fresh water in 30 seconds. 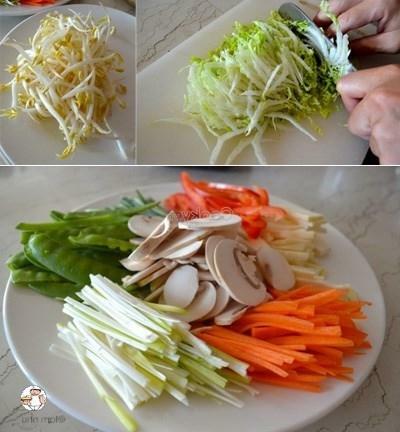 Wash vegetables including carrot, cabbage, bell pepper, bean sprouts and then cut them into thin pieces. Also, wash white mushrooms and slice them. 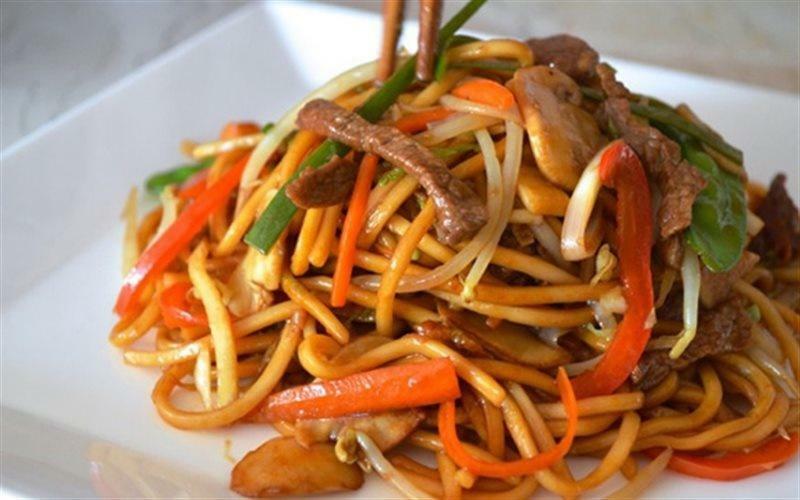 Heat up cooking oil in a pan and then stir-fry beef. After that, take them out. Next, stir-fry chopped garlic and then add vegetables at step 3 to stir-fry them well. 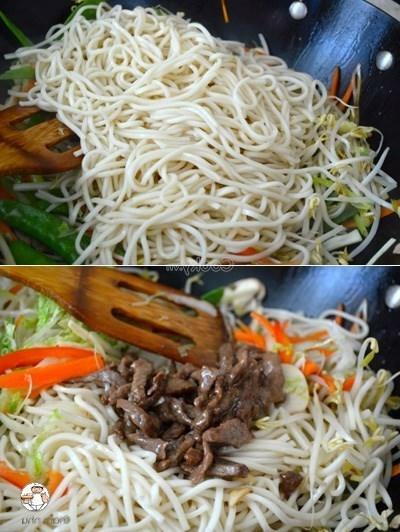 Then, add noodles and stir-fry in 2 minutes. 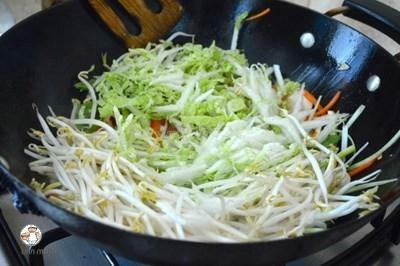 Pour soy sauce, add white sugar, and salt into the pan and continue to stir-fry in 5 more minutes. 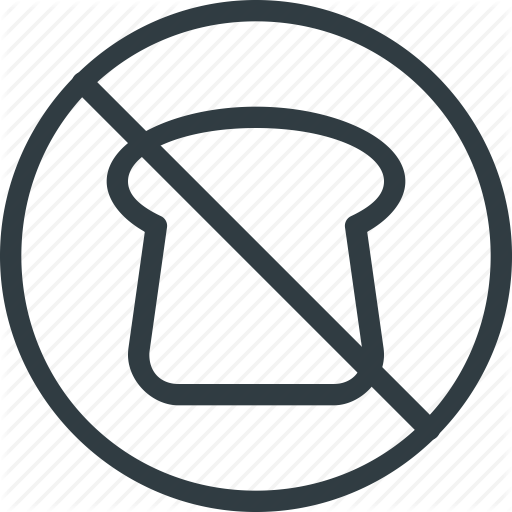 Turn off the gas stove.